Last week I went to a blogging conference and funny enough stepped away from my blog for the longest time in almost six months. I just got back last night. There is so much to say. I learned so much about what I want to be and even what I don't want to be. 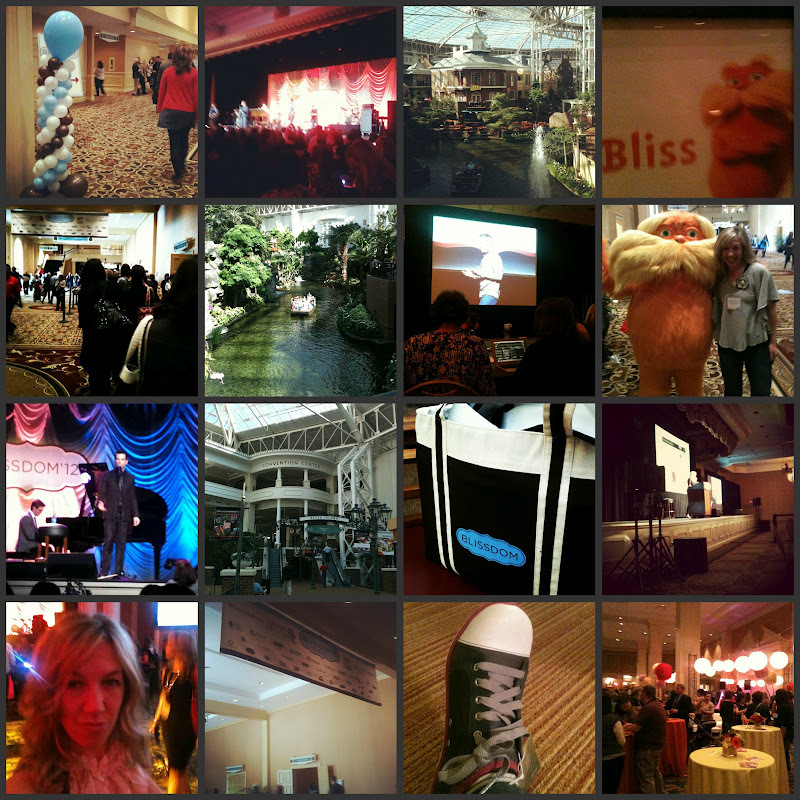 Here's an under 2 minute movie about my experience at Blissdom. I discovered things about myself like the fact that I get that creepy Tom Cruise overdone laugh when I am nervous around new people. Ugh. I discovered that I like people, but I am not all of a sudden a super social party-loving kind of gal. I discovered that if you asked me "Are you more like Gayle or Oprah?" (because I'm sure that's what you were going to ask me), I would say Gayle. I would say that because I sang (or rapped) the entire road trip down to Nashville and back (like Gayle on their famous road trip if you weren't making the connection). Here's an under 2 minute movie about how I entertained myself on the road. More deets after I get myself together. This is such a great post. Loved it.